“A lengthy document with a bunch of fill-in-the-blanks and legal jargon.” This is how one San Carlos home buyer described the contract. In a sense, she is right. However, too often buyers do not truly understand the numerous pitfalls that exist in the contract. I remember when we were buying our first home in San Carlos. At the time, I still had my law practice and I remember the realtor going through the contract with us. The amount of items that were glossed over with an “initial here” and “this is standard” and outright incorrect explanations over the legal meaning of certain terms, was alarming. I remember sitting at that conference room table distinctly thinking that I now understood why real estate litigation was so prosperous. There are many different types of purchase contracts. The one that is commonly used in San Carlos is called PRDS Real Estate Purchase Contract. 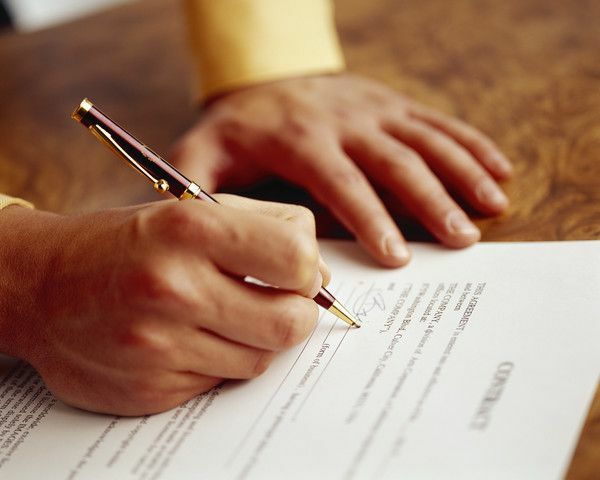 Another form that is commonly used is the CAR Real Estate Purchase Contract. If you have your choice, I would have you tell your agent to use the PRDS form. It my opinion the PRDS form is better written and has fewer gray areas. (1) Liquidated Damages. Section 5 of the PRDS form talks about Liquidated Damages. By initialing next Section 5, you are asking the seller to include that particular clause in the contract. Here is how I would explain Liquidated Damages: It may surprise most people to learn that while civil litigators care about whether they can prove the “more likely than not” burden that is required in California for a judgment in their favor, they care equally about proving damages. Many times an attorney will advise a client that the probability of a favorable outcome of their case is high, however, if you can’t prove damages, you just paid a lot of money simply to give an I-told-you-so to the defendant. Liquidated Damages takes that “proving damages” out of the equation. Basically, when both parties initial the Liquidated Damages section of the contract they are agreeing ahead of time that, if there is a breach of the contract by the purchaser, the damages will be X. In most instances, X, is 3% of the purchase price. >>> How Liquidated Damages affects buyers and sellers: It’s good for buyers because they know that if they have to breach the contract for an unforeseen reason, they will never be liable for more than 3% of the purchase price in damages. Items such as consequential damages, loss of economic advantage and other costly causes of action that the seller may have are taken off the table. It’s good for sellers because they have the assurance of knowing that if something goes wrong and the buyer breaches the contract the seller will usually end up keeping the buyer’s deposit of 3%. The seller can pocket the money and put the property right back on the market. (2) Arbitration. Sections 7 A & B of the PRDS contract bind arbitration on the buyer and seller if the buyer and seller initial next to this particular section. Buyers are normally very confused on whether to include this clause in their offer. First, an explanation of arbitration: Arbitration is much like a court proceeding but it is done informally. There is not a court room, just a conference room. There is not a judge, just an arbitrator (normally a retired judge or very experienced attorney). The plaintiff and defendant make their arguments to the arbitrator and the arbitrator then issues a ruling which is binding on all parties. >>> Why buyers and sellers like arbitration: Arbitration is far less formal and less intimidating than an actual courtroom, discovery rules are somewhat relaxed, and the process is usually far cheaper than taking a case through the verdict stage in a courtroom. >>> Why buyers and sellers do not like arbitration: The arbitrators ruling is binding. Appeals are not allowed, except for highly unusual circumstances. Depending on the arbitrator, you risk a decision that is not exactly grounded in the most logical legal sense. Many attorneys will tell you horror stories of cases that would have gone one way in an actual courtroom and far differently in front of an arbitrator. >>> What I recommend for my clients: For me, the answer depends on the behavior of the party on the other side of the transaction. I am generally in favor of arbitration because I believe that the benefits outweigh the disadvantages. However, if you have reason to believe that something is a little shady on the other side or the property is one that could be fraught with issues which may not be disclosed, I would recommend not initialing this clause and leave the door open for a courtroom action. >>> Here’s why: The issues the buyer will encounter are usually obvious and should have been disclosed by the sellers. While arbitration is usually less costly and less formal than a courtroom action, obtaining a summary judgment is usually cheaper and the buyer or seller would most likely never set foot in a courtroom. Additionally, the buyer can usually get a much faster result than with arbitration. When my firm was conducting summary judgments they usually ran about $5,000. $5,000 would probably be the fee just to hire the arbitrator….so it’s an easy decision under those circumstances. The one item to keep in mind here is that the breach on behalf of the seller would need to be obvious in order to make it through summary judgment. Upcoming blog posts will further expand on other sections of the PRDS contract. Please note the totality of all cirucumstances should be used in making determinations in the PRDS contract. Therefore, these determinations should only be made with an experienced realtor or legal counsel. Please remember that none of the posts on the San Carlos Blog should be considered legal advice.